Rollerworld stars Jane Levy as Shane, Allison Tolman as Krista, Adam Scott as Cory, Mae Whitman as Janie, Hank Chen as David Lee, Zach Knighton as Jason, Casey Wilson as Lady #1, June Diane Raphael as Lady #2, Nicole Byer as Lady #3, Jack McGee as Grandpa William, Steve Agee as Wizard/The Desk Sergeant, and Andrew Reich with stage directions. In this episode, Ben Blacker and Andrew Reich interview Samantha McIntyre (Married, Bored to Death) regarding her dead pilot, Rollerworld. You'll ... See More also listen to a never-before-heard live table read of Rollerworld performed by some of today's funniest comedic actors. 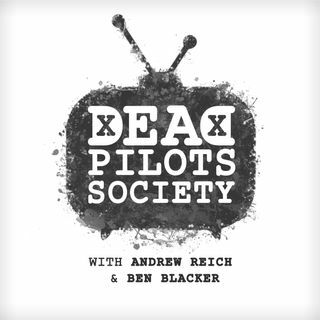 For more Dead Pilot Society episodes, please subscribe to the podcast! Make sure to like us on Facebook, follow us on Instagram @deadpilotspod, on twitter @deadpilotspod, and visit our website at deadpilotssociety.com.